Available in 500 ml bottle, 5lt jar. • Bactericidal- within 3 mins contact time, Fungicidal- within 10 mins contact time. • Effective in presence of heavy soiling of organic matter. 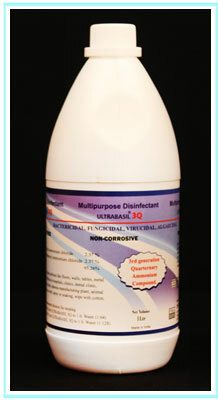 • Dual action- cleaning & disinfection. • Can be used to disinfect all objects, surfaces in health care, food, dairy & hospitality industries. • Bio degradable & eco friendly.